I was never interested in photography. Somehow, it just did not interest me. However, after reading “On Photography” by Susan Sontag and also “Ways of Seeing” by John Berger, I started taking some interest in the subject and I had known of Roland Barthes. Coupled with this was the fact that he had written on photography, so it was just only a matter of time before I would read it. What the Photograph reproduces to infinity has occurred only once: the Photograph mechanically repeats what could never be repeated existentially. “Camera Lucida” is about photos, life, and death and about the cultures we inhabit. The book is not just about photographs and photography. It is a lot more on actually how we see and how we are conditioned to see. The book is all about art – about how paintings came to lose some significance with the invention of the camera and how that was not the case after a couple of years. 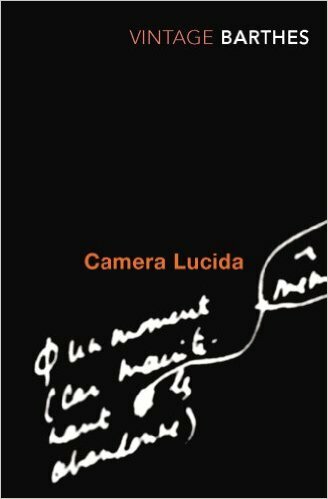 “Camera Lucida” is a collection of essays on “the photograph by onlooker” than what a photographer may think of his or her photograph. He questions what it means to take pictures and what the probable outcomes of it are. It is not an easy read, but it is highly satisfying. Barthes draws on examples from life, what surrounds us and how it feels like to have a relationship with a still image in an age of constant movement and newer digital means. “Camera Lucida” is about interpretation, imagination and art. It is more so about living and what it takes to make sense of art that is all-pervasive. The book is short and just right to know more about photography and the medium that it is. I will of course go back to it at some point. I must also say that it is not a read that you can fly by, however once you sink your teeth in it, it is an excellent read. 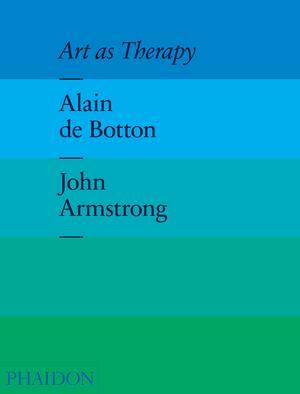 It is the end of the year and I close the year with a book I just finished and cannot stop talking or thinking about – “Art as Therapy” by Alain de Botton and John Armstrong. May be a lot of people know Alain and are aware of what and how he writes and then there are others who are yet to discover his style and works. I envy the latter set of people. They are so lucky to discover his works and his line of thought. At the same time, because this book is co-written, it is always good to see another perspective, in this case of John Armstrong. Alain de Botton according to me is a master at what he does – he integrates human behaviour across a range of topics and we have witnessed that through his works. “Art as Therapy” on the other hand is a different matter altogether. “Art as Therapy” speaks of art in the manner, which is accessible to everyone. It is not about wine glasses in hand and appreciating something on the wall, and acting all pretentious. It is about nonetheless, life and how we live art and also sometimes its therapeutic and redeeming nature in our lives. The bigger question that the book seeks to answer is: What is art’s purpose? What does it do or not do for humans? Why is it needed at all? In this book, de Botton covers different aspects of life through art – love, nature, money, and politics and how art acts as a catalyst to solve the daily worries of life. A photograph then becomes more than a photograph. A painting then becomes something that you connect with so strongly, that you can never let go. Alain looks at everyday problems, everyday issues and uses art to solve them. May be solve is an incorrect term here, he uses art to get an understanding of life and then perhaps cure the soul. With examples and more illustrations throughout, Alain and John reveal how we as humans cannot lose sight of the bigger things, and how sometimes art is the only solace. They talk about looking at art with fresh eyes and viewing it the way you never would have thought of. Each painting, each art form transforms itself in their hands and that is more than reason enough to read this book. They show us how art heals us in ways we cannot even imagine. Art is then an imperative force in our lives, which perhaps we do not pay attention to – given the hustle-bustle of our technology-ridden lives. They remove art from the shallow galleries and bring it out to readers and the so-called common man through this fascinating concept and even more wondrous book. This entry was posted in Art, Books, Non Fiction, Review and tagged Aesthetics, Alain de Botton, art, Art as Therapy, arts, Criticism, Love, Money, Nature, Phaidon Press, Photography, Political and Social, politics on December 27, 2013 by thehungryreader.